Ebola has become an increasingly serious health crisis around the world, and humanitarian aid organizations in West Africa are in critical need of ICTs (Information and Communications Technologies) to effectively support health care workers. 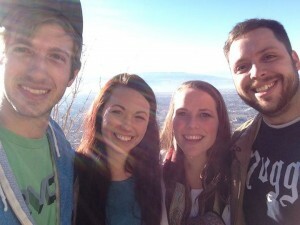 In response, Inveneo is assembling a team that is preparing to travel to Accra, Ghana. Once there they will distribute 500 Google Nexus 7 Tablets (which will be pre-loaded with crisis-response apps) to major aid agencies working on the ground in affected areas. 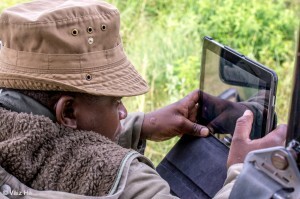 The Inveneo team, led by Senior Field Engineer Samuel Perales and Executive Director Bruce Baikie, will provide a Tablets for Ebola Responders training, delivering relevant skill sets to aid workers stationed throughout West Africa. This project will support up to 50 aid organizations. Inveneo is eager to launch this project because of its ability to impact thousands living in communities potentially affected by Ebola. 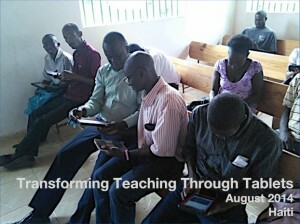 “International relief organizations have been expressing the need for tablets on the ground. Having seen firsthand just how effective these tablets were in the aftermath of Typhoon Haiyan last year in the Philippines, we are particularly eager to get tablets into the hands of aid organizations working to eradicate Ebola,” explains Samuel Perales. The Google Nexus 7 tablets will be pre-loaded with software and apps that enable post-crisis communication and coordination. With programs like street-level maps and access to medical information, tablets become powerful ICT tools in the fight against Ebola. Aid workers will be able to deliver medical supplies more quickly and will receive updates and news stories that rural communities desperately need. 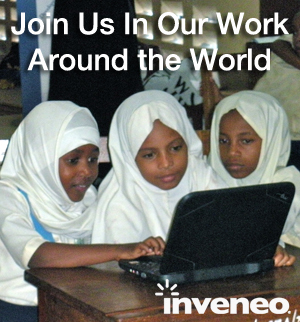 Inveneo’s team has been at the forefront in responding to global crises with effective ICTs. In addition to supporting recovery efforts after Super Typhoon Haiyan hit The Philippines in 2013, our team also responded to Haiti’s 2010 earthquake with the rapid build-out of a wireless broadband network that enabled communication necessary for relief and rebuilding efforts. In 2005, we sent team members to Mississippi immediately after hurricane Katrina to assist with rebuilding communications.